762 mm overall. 152 mm cutting edge. 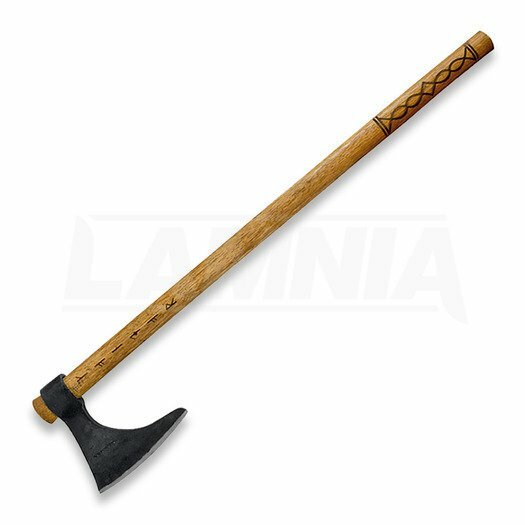 165 mm 1065 carbon steel axe head. American Hickory handle. Brown leather sheath. Bulk packed.No third party sales. Must be sold from your store or your web site, not a third party site such as Amazon, eBay, etc. Abyste získali dopravu zdarma, chybí vám objednat zboží za Kč 452!